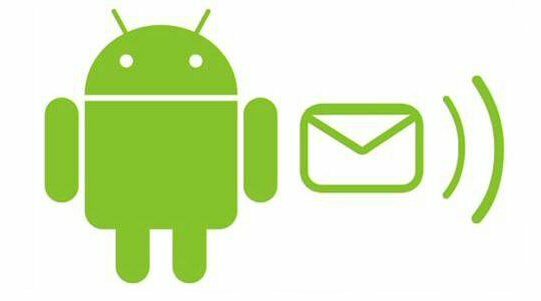 Guide #5: How to send SMS or MMS text messages from your PC or tablet using your Android phone number? Using instant messaging isn’t without it’s flaws, however. If you have friends that all use different IM services, or friends without smartphones, it can be difficult to keep up with all of them in different programs and browser tabs on your desktop, and in the case of messaging someone without a smartphone, you’ll have to use your phone to send traditional text messages anyway. With this guide, we’re going to get into a few different apps that add many of those instant messaging features to your SMS text messaging, including being able to send texts from different devices and syncing conversations across devices. DeskSMS is an application developed by Koush, who’s also responsible for a handful of other extremely useful Android applications, like Carbon, which we’ve discussed as one of the best ways to backup your phone data. The premise of DeskSMS is simple; you link your phone to your Google account, and sign into a website (or browser extension) with your Google account, and you immediately have access to your SMS logs and can freely send and receive texts, all from the comfort of your full-sized keyboard. DeskSMS is great for a number of reasons. First, it’s simple to set up, and simple to use. Sending texts is just like opening up an app on your phone, typing away, then hitting enter to send the text. The devices don’t need to be connected to the same WiFi network or through Bluetooth. As long as they’re tied to the same Google account, you’re in business. Second, DeskSMS offers many ways to send text messages. Want a browser extension for Chrome or Firefox? No problem. Would you rather use a website? You can do that. Maybe you want your texts to link into your Google Talk account or Gmail account? You can do that, too. Possibly the coolest feature of DeskSMS is text forwarding to Google Talk (or any third party IM application that supports Talk), so you can essentially turn a text conversation into an instant messaging conversation without the other person doing anything differently. Koush also offers a TabletSMS app, which syncs and pushes your text messages to any tablet with the app installed. Of course, you may not even need to do that if you’re using the Google Talk or Gmail forwarding, but we’re never going to complain about having more options. DeskSMS itself is free, but the service costs $4.99 per year. Of course, for the convenience of being able to send text messages from any internet enabled device, it’s definitely an app worth passing up on coffee one day for. SMS Text Messaging ↔PC Texting from MightyText is similar to DeskSMS. It’s an easy to use, free app that syncs SMS from your phone onto your computer or tablet. It works very similarly to DeskSMS by syncing through your Google account, but it does also offer a handful of extra features, like the ability to see your phone’s battery level and see who is calling you on your phone before answering. It also lets you securely back up your SMS and even MMS messages to MightyText’s servers, which is handy for extra data backup. MightyText also offers tablet texting via an extra app just like DeskSMS. Plus, there’s no monthly or yearly service charge to pay for here. MightyText is extremely functional, but it is a bit more bloated than DeskSMS. If you’re looking for all the extra features, you’ll definitely want to give this app a shot. Below is the main app to download, and the companion tablet app. You’ll only need the tablet app if you want to text message from your tablet. If you’re not much on communicating on your computer, and it’s more about the tablet for you, then Tablet Talk might be the way to go. It’s more lightweight than either of the first two options and doesn’t need to latch onto your Google account to make things work. Essentially, Tablet Talk tethers your tablet and your phone together, either through a WiFi network or Bluetooth. Once connected, Tablet Talk becomes a fully functional SMS application for your tablet and automatically syncs up with your phone messages. It also adds in the ability to make phone calls through your tablet, which neither of the other options can do. While holding a tablet up to your face isn’t practical, if you use a Bluetooth headset and would prefer to do everything through your tablet, this is a great option. Tablet Talk is very functional, and there’s only one app you need to install. It automatically detects if it’s installed on a phone or tablet and sets up accordingly. And if you’re into extreme customization, there’s plenty of themes for Tablet Talk in the Play Store. If you’re a Verizon customer, you have access to a solution for cross-device text messaging through your Verizon phone number. Their Verizon Messages application is a simple way to enable that functionality; install the app and link up your Verizon phone number and you’re good to go. You can use the app on your PC or tablet and see up to 90 days of saved messages, and freely send and receive SMS. The Verizon app also has a few other unique features, like the ability to set up an auto-reply, report spam messages, full group messaging support, and even a widget with a badge counter for unread messages. It’s definitely a robust app, and if you’re already a Verizon customer, this one is definitely worth checking out. These are three extremely simple-to-use apps to enable text messaging across multiple devices to help SMS keep up with instant messaging. A few OEMs do offer this functionality through other services on their products, (Samsung’s KIES software comes to mind) but in many cases, it’s easier to pick your own software for compatibility and flexibility. Are there any apps you use that didn’t make the list?